The muscle you aren’t using is costing you the win! 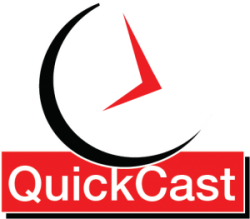 One of the subjects that I have wanted to cover more in-depth on the Endurance QuickCast for a while is meditation. I know some of you are going to pass on this show but when I am asked how do I take my performance to the next level this is one of many things I talk about with athletes that are seeking the next level of performance. I have recently covered such esoteric concerns as Developing Flow State for Extreme Gains in Athletic Performance, Improve your performance today with Self Talk and Hacking the mind to take the win. So today I am going to cover mediation and how it can benefit you the endurance athlete. Note: We will be offering up a 2018/2019 PPC/EQC Training Kit to all of our athletes and listeners. Sign up for the newsletter to get the earliest notice and details of how you can find the design and store to order yours. We will be making LS/SS Jerseys, Bibs, Jackets, Vests and SS Skin Suits Available for order. Offer: This is the last week that I am offering athlete sponsorship to those that want to receive heavily discounted coaching services! If you are interested I need you to email me ASAP Rob@PositivePerformanceCoaching.com !!!! What types of meditation should athletes consider? Guided meditation or self-guided meditation? Breathe meditation or mindfulness meditation? Isn’t all this meditation stuff just rebranded Transcendental Meditation? What will an athlete likely focus on when selecting a meditation practice? I like to think of meditation as the foundation to all Spots Psychology practices. Or simply put MAC is mindfulness as a form of present-moment attention and focuses on the need to become more aware of cognitive anxiety and better understand that it is a natural response to performance circumstances. Where the typical PST approach breaks out the areas of what athletes can focus on in an effort to gain clarity and focus, MAC tries to remove expectations of potential outcomes and puts the athlete into the hear and now to develop an acceptable view of performance outcomes. Both Sport Psychology practices are relevant methods for improving the mental game and delivering an edge over one’s competition come race day. In both cases, I still feel that meditation will become the foundation of either practice.